"Lord, if anything has been said which is from You, which You want to impart to these hearts, do cause it to remain and become a part of their lives." As many messages as possible, from Christian speakers in disciplemaking ministry, are being archived in digital form and made freely available on the Internet. Wherever access to the Web is available, in any country around the world, whether by wireless connection on an airplane, or on a submerged submarine, users should be able to access thousands of the best archived messages from Godly men and women covering hundreds of topics of interest. 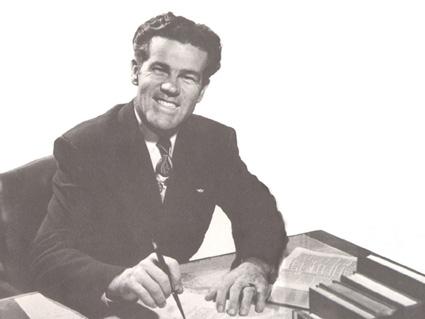 Messages presented by many outstanding Christian speakers during the last 60 years have often been recorded and shared on reel-to-reel, cassette and video tape thereby multiplying ministry to thousands of people who might not otherwise have had an opportunity to hear them. One such tape ministry was a vision of Gene Warr and Max Barnett, who started in the 1956 what later became known as Discipleship Tape Library. Housed at the Oklahoma University Baptist Student Union, it continues to make nearly 22,000 messages on cassette tape available to all who request them, on a free loan basis. Digitization of this collection is underway, with the goal of sharing them with listeners all around the world at DiscipleshipLibrary.com. In addition, over 8,639 original discipleship conference messages have been made available by The Navigators Audio Preservation Project for this purpose. Each of these audios will be digitally archived, screened for sound quality and content, then re-deployed in disciplemaking ministry at DiscipleshipLibrary.com. In many other locations, countless numbers of classic messages on all aspects of the Christ-centered, Spirit-filled life have been archived; but most are not currently available for use in ministry today. Many individuals, Churches, and other Christian organizations have simply preserved large collections of audio by placing them in permanent storage. It is this specific type of material that we desire to breathe new life into, and re-deploy in disciplemaking ministry. By sharing with us any materials on discipleship that you may have stored away. Original material loaned to Discipleship Library will be digitized, and then returned to each provider along with the new digital files on CD and/or DVD. After screening, appropriate material will then be shared in digital form on the Discipleship Library Website. Please contact our web team by emailing: webmaster@DiscipleshipLibrary.com , with your ideas and suggestions, and please let us know if you have audio or video that you would like shared in ministry through Discipleship Library. By using digital technologies and the Internet, these former ministry tools can be brought back into active service, and shared with millions of individuals, fellow Christian ministries, and countless Churches around the world. We believe in the Scripture of the Old and New Testaments as inspired by God, and inerrant in the original writing, and that they are of supreme and final authority in faith and life. We believe that the Lord Jesus Christ died for our sins according to the Scripture, as a representative and substitutionary sacrifice; and that all who believe in Him are justified on the ground of His shed blood. We believe in "that blessed hope," the personal and imminent return of our Lord and Saviour, Jesus Christ.